After you’ve traveled a bit, people start asking you crazy questions like ‘what is the most beautiful place you’ve ever visited?’. I typically stumble over this question. And I’ve got bad news for prospective askers of this question: another location has been added to this list. It’s different than the rest though as it’s not on the earth, but in the water on top of it. Located in Malaysia, next to Borneo island, there’s a small island called ‘Mabul’. And if you take a boat eastbound for twenty minutes you arrive at a tiny island (100 * 200 meters) called ‘Sipadan’. What so special about this place, one might ask? The answer is simple: if you swim less than 50 meters into the sea the bottom below you is already at 600 meters. His attracts amazing number of fishes and predators that feed on them. Fresh out of my diving course I went to 35 meters and saw: sharks, barracuda’s, gigantic turtles, and dozens of other species. The biggest surprise wasn’t at this depth though. When my group started ascending to the surface, we arrived at a small plateau / reef at 12 meters below the surface. The sunbeams lit up the place like there was no water at all. 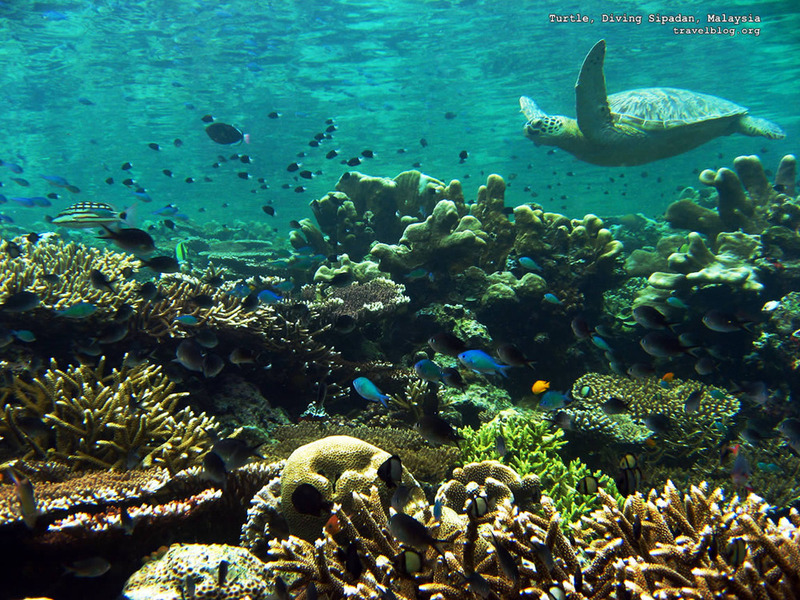 Gigantic corals, uncountable numbers of fish in big schools, a turtle so close I could almost touch him. As a much wiser man once said: “the greatest show on earth”. Maybe this is the most beautiful place? By gcjbos in Uncategorized on 16/05/2011 .